You provide the best services to your clients/customers, you support them well but there is something missing in your business relationship. Every happy relationship needs something special. Besides a quality product and awesome customer service, the answer is gifting. Your clients are important. They inspire you to work hard… And a gift can boost up your happy relationship. Gifting is an easiest and traditional way to build trust and happiness in your business relationship. But sometimes it is a bit confusing. 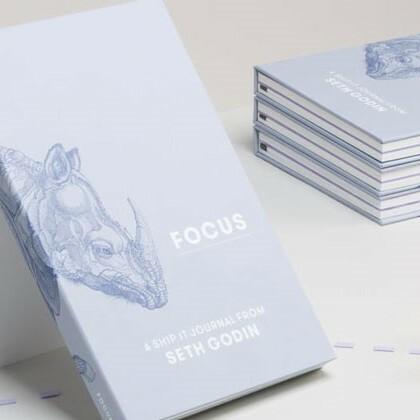 A client gift should be one that represents your brand. It should suit your brand style. 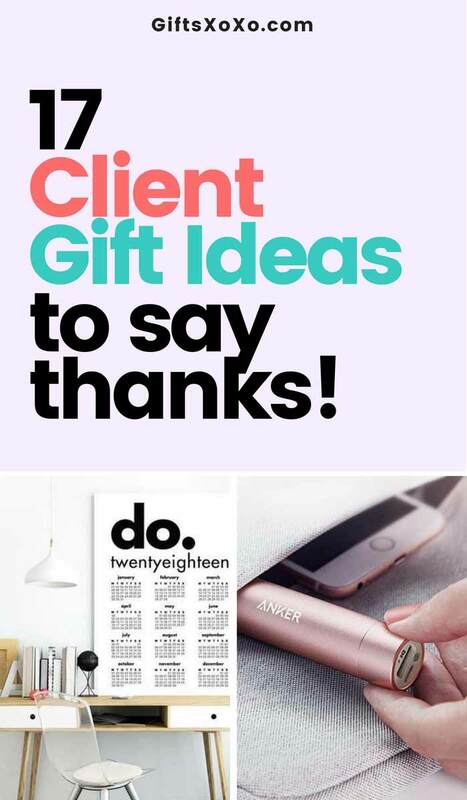 Here are we come up with 17 awesome Client Gift Ideas to Say Thanks. 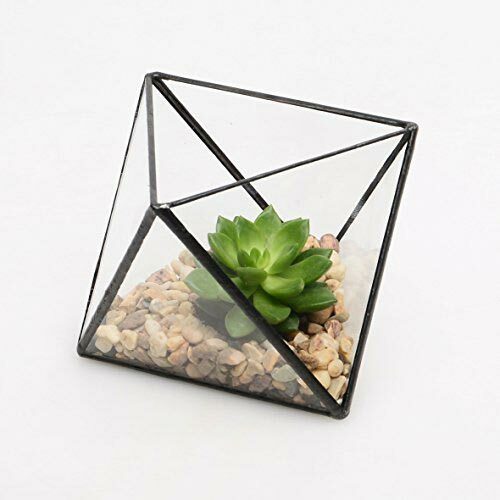 Terrariums are one of the best items to display in your home. It could be showcased on your desk, party center table or anywhere in the living room etc. You can fill partway with crystals, colored sand or pebbles and stones then used it to showcasing whatever you want such as business cards. Your clients will remind you when they get compliments. Your clients will love to see their name on water Tumbler. Sending a bouquet of flowers is not that effective as a client gift as you know, it won’t last beyond a few days. 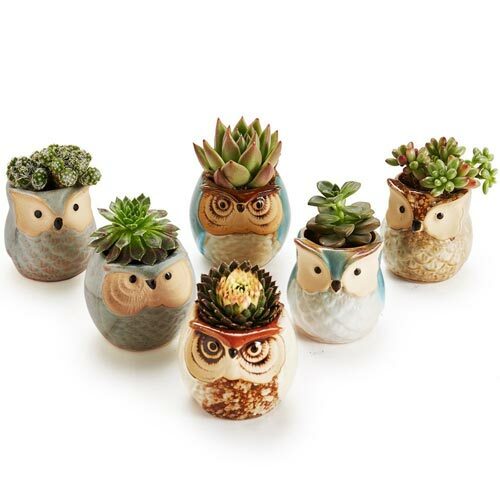 Succulent planters are perfect for every kind of Client. The best part about succulent plants is that they need less care and make a positive environment. They need just a little space to brighten any indoor space. 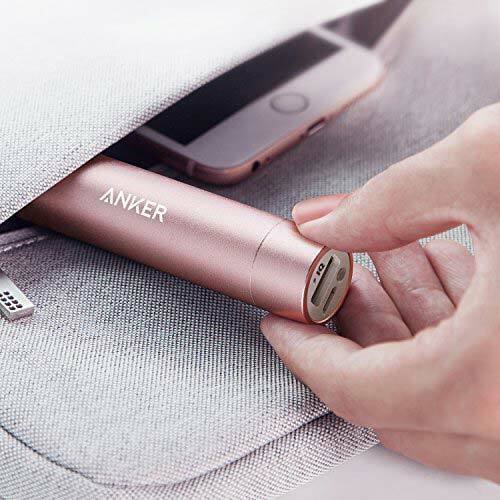 Portable phone charger would be quite a relief gift for your clients, especially when they are traveling. Notebooks come in huge varieties, sizes, shapes, materials, and bindings. So how to decide what is good for your Client? Straight Advice here! Gift a notebook which has nice leather with your company colors and logo embedded. Give them a water bottle, they surely won’t throw away. In this digital world, who doesn’t want an extra battery backup? Coffee and Friends are the perfect blends! And who doesn’t love coffee? Gifting a coffee box which has a variety of Coffee flavors is a great gift idea for the coffee lover Client. Like this one which has 12 different coffee flavors around the world from Colombian Supremo to Costa Rican Tarrazzu and many others. Because it is the coffee, so good to treat yourself too. Kept one for yourself. In the US, 80% of households have tea in their kitchens, and more than half of the American population enjoys a cup on a daily basis, according to the U.S. Tea Association. 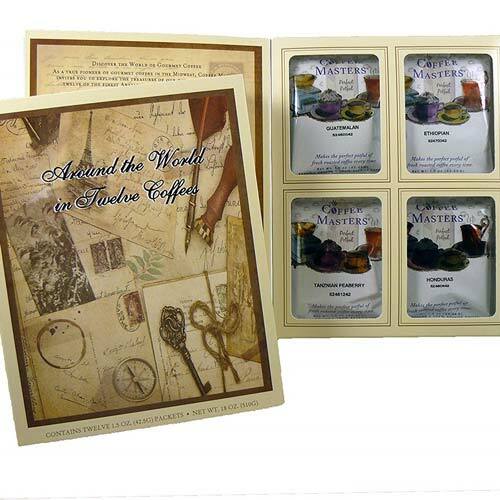 Wrapped well and book-inspired packaged Tea Set would be a great idea as the client gift. 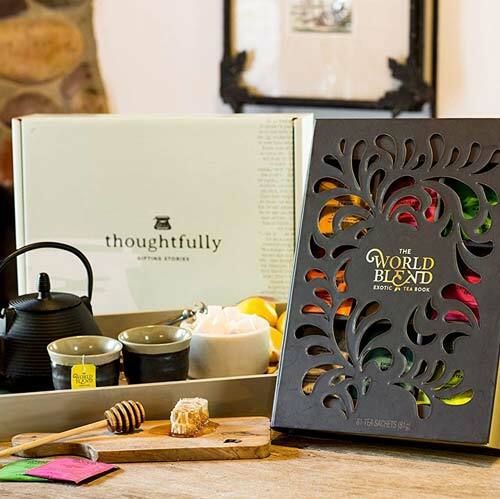 It has 9 different tea blends around the world. All smells wonderful while brewing and taste even better. No need to say anything! It is an excellent gift item suits most of the categories. A calendar is a perfect way that keeps your company top of the head entire year. In these days, Typographic arts are quite trendy. 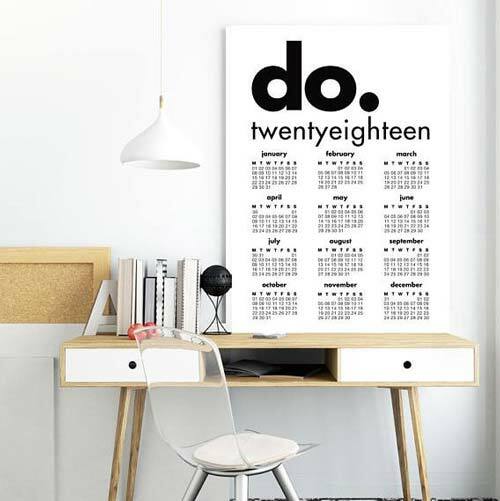 So you can pick a modern typographic wall 2018 calendar which looks minimalist and beautiful in your workplace/home. Coffee table books make great presents. If you are a small biz owner then Coffee Table book would be a great present for your client. Big and colorful Coffee Table books make your coffee table decor complete. Here are some of Eye-Catching Coffee table Book Ideas. 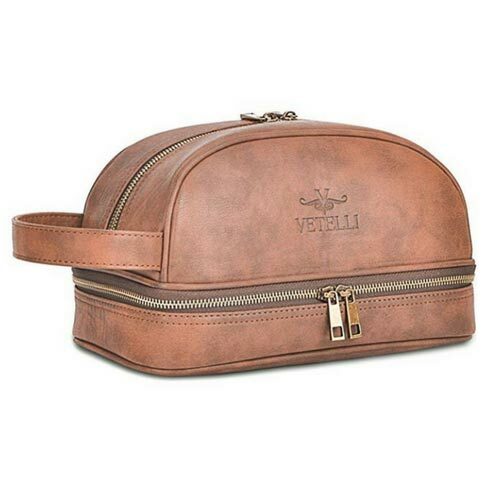 If your Client love to travel, then they will surely love this toiletry leather bag too. Always remember to choose functional, versatile, waterproof and long lasting Dopp bag which can carry tons of toiletries. And this bag comes in with hefty of features plus a lifetime warranty. Corporate Gift baskets are growing popular. The answer is simple, they fit on every occasion and event. And obviously available in the huge varieties to choose from. 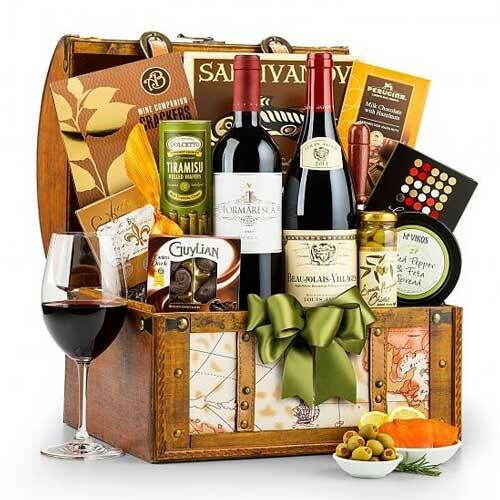 You can gift groom baskets, deluxe fruit baskets, bakery basket or a world wine chest which is basically a type of beer basket. How do you make a Craft Beer lover happy? 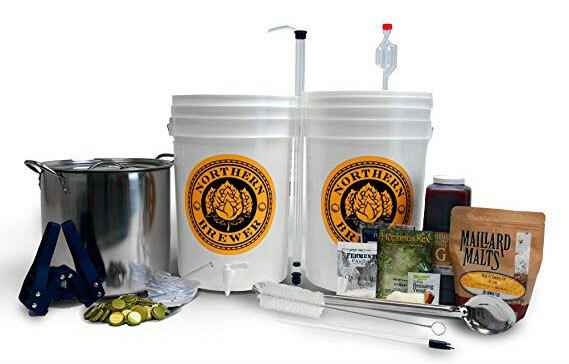 Just gift them a beer brewing kit. Gift a kit that comes with everything basic needed to start brewing like this one. Or gift something personalized gift item! 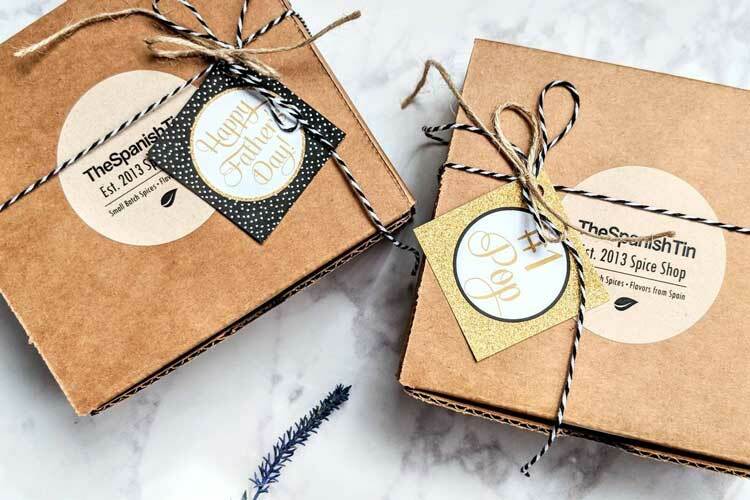 Personalized gifts are an easy and effective way to stand out from the crowd. They can be individually personalized with the touch of your creativity, so chances are guaranteed that your client would surely love it.